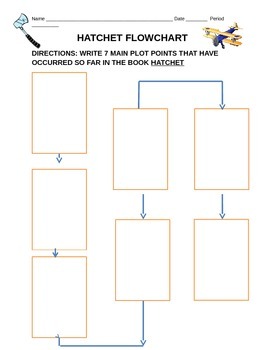 A flowchart created to go with lesson 2 PowerPoint of Hatchet unit. This flow chart has students recall 7 events in the story after reading chapters 1-4 and recording them on the flowchart. You could add in having them write down page numbers to document textual evidence.